Join the Rebel Athletic Fund for just $25 and help us Drive for 5! Our goal is to reach 5,000 RAF members by the fall of 2020 while providing needed scholarship support for our 480 UNLV student-athletes. The Loyalty Circle is the Rebel Athletic Fund's premier student-athlete support program. Funds invested are used exclusively to position our student-athletes to graduate as leaders, win championships and excel in all they do. The Rebel Athletic Fund would like to thank Bob and Carolyn for their commitment to our mission and continued support of UNLV. 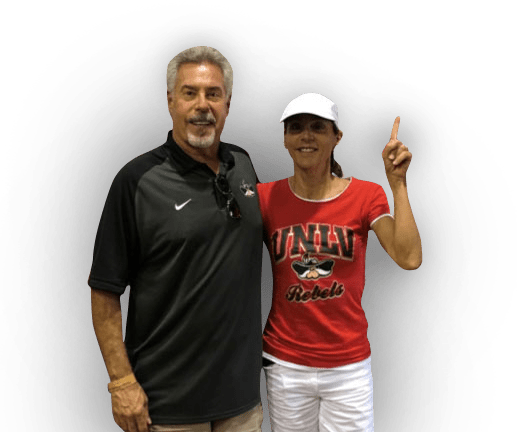 Both UNLV Alum, Carolyn received her Master’s Degree and Bob, Owner of National Technology Associates, who received his undergraduate degree, are committed to the mission of providing our student-athletes opportunities for success in the classroom and in competition. "It's easy to support the school you love! Especially when we are fortunate enough to work with the talented team at the RAF!!!" 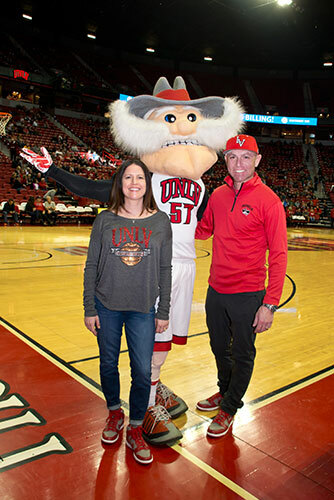 Bob Schiffman and Carolyn Battin, both longtime Las Vegas residents, strongly believe in the importance of supporting the academic and athletic efforts of UNLV student-athletes. Gifts through RAF, like the recent and generous commitment from longtime supporter Matthew Frazier, enable this interaction. 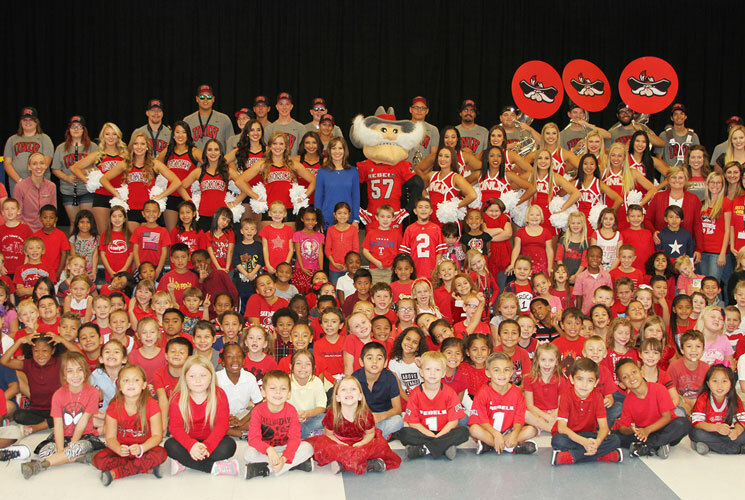 Through his generosity, Mr. Frazier allowed several of our student athletes to team with the Sewell Elementary School in East Las Vegas to target an increasingly troubling trend - student bullying. Through a series of workshops and interactive sessions, our student-athletes demonstrated the dangers of negative peer pressure while exemplifying the importance of respect, fraternity and fellowship. 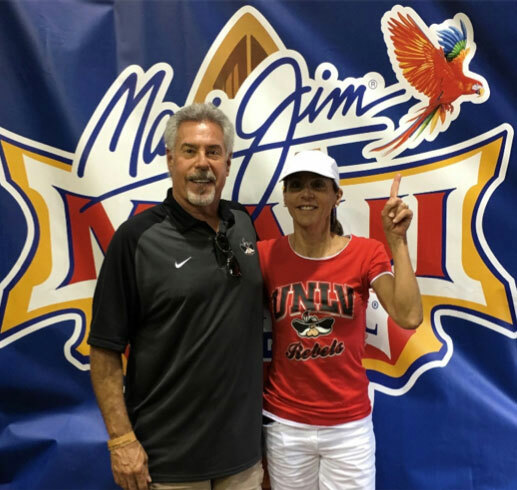 Scott and Rebecca Scherr knows first-hand the importance of supporting scholarships and are staunch supporters of Rebel student-athlete scholarships. 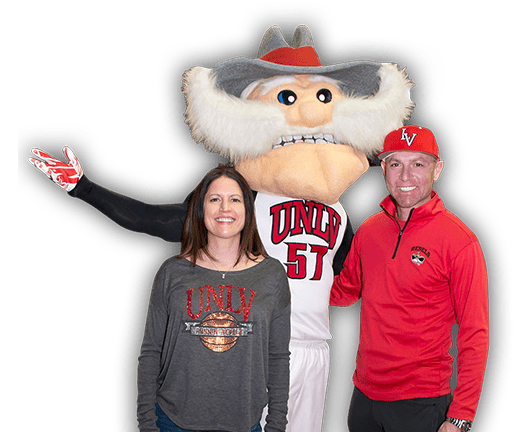 Both UNLV Alum (Scott was a baseball student-athlete from 93-95), successful physicians and long-time Nevada residents, they understand the impact a scholarship can have on the life of a young man or woman. "We give to the student athletes because we want to see them gain knowledge that will help them have a successful life outside of athletics." The Rebel Athletic Fund would like to thank Scott and Rebecca for their continuous support. Every gift has a positive impact on our student-athletes and their ability to succeed in the classroom and on the playing fields. Watch now to hear how your INVESTment can make an IMPACT in the lives of our UNLV student-athletes. (2016 - RS Freshman): Made his first appearance and first career start in the ninth game of the season at Gonzaga, and would start 14 of the next 15 games as well, sitting out only the Senior Day home match ... Was a big key to the Rebels play in conference play and stepped it up in postseason play, allowing just one total goal in the semifinals and championship game ... Named to the WAC All-Tournament team ... Posted three shutouts on the season, over San Jose State (Oct. 2), at Houston Baptist (Oct. 23) and at Utah Valley (Nov. 11) in the WAC semifinals ... Finished the season with a 1.54 GAA and 67 saves ... Allowed 23 goals in 1,348:19 minutes of action. High School: Was a four-year starting goalkeeper for the Wildcats ... Helped the team to a conference championship and two division titles ... Named Goalkeeper of the Year, all-city and all-conference as a senior. Club: Goalkeeper for LVSA from 2011-14, and helped them to four-straight State Cup titles. Personal: Enrique Adame ... Born on Aug. 13, 1997 ... Son of Enrique Barajas and Aurora Yolanda Muñoz ... Has two brothers, Alberto (21) and Citlally (20) ... Planning on majoring in business. 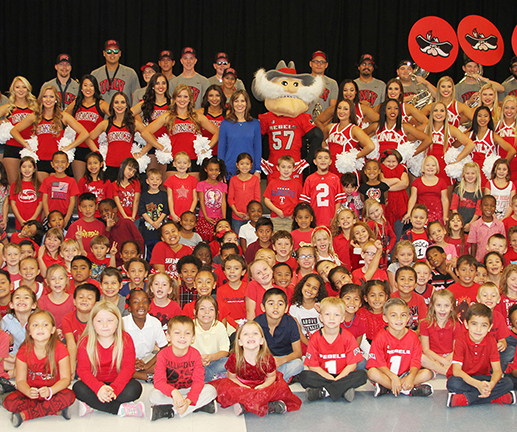 The Rebel Athletic Fund is the fundraising arm of UNLV Athletics and assists student-athletes as they strive for excellence academically and athletically. We encourage private giving and volunteer leadership from Rebels everywhere so that we can strengthen the overall competitiveness of our teams. The generated revenue guides and inspires young men and women to achieve their maximum potential in the classroom and in competition. Is designed to be a key part of the UNLV plan to not only field a perennially successful football program, but also place our university in the best possible position for any potential changes to the collegiate landscape in the coming years. The impact of the facility will be instrumental in improving our current players both academically and athletically while also having the ability to attract future Rebels to Las Vegas.